A new study, published in Mindfulness, examines the association of mindfulness and stigma resistance among individuals with a psychiatric diagnosis. The results of the cross-sectional study, led by Kevin Ka Shing Chan, a professor at the University of Hong Kong, found mindfulness to be positively associated with stigma resistance, which was associated with positive life satisfaction among participants. 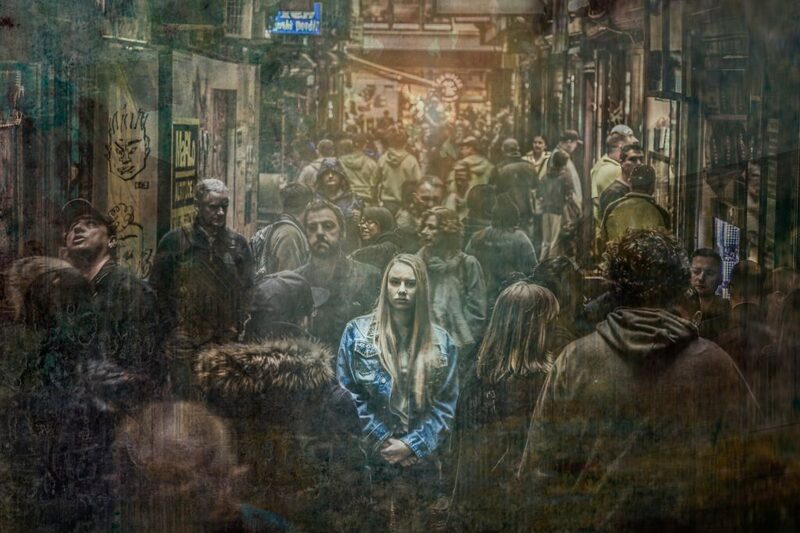 Past research suggests that understanding psychosocial explanations of mental health issues can help alleviate stigma and that poorly conceived anti-stigma campaigns that rely on biomedical conceptions of mental disorders can actually increase society-level stigma by ignoring the fundamental role that society and communities play in the creation and maintenance of psychiatric stigma. The current study seeks to tackle the problem of self-stigma from the inside out, by exploring stigma-resistance methods. “Individuals with higher stigma resistance may have a greater sense of agency and mastery and find it easier to attain a self-directing and fulfilling life,” Chan and his team write. 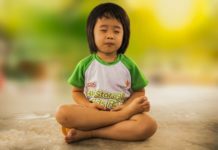 In the current study, researchers intended to assess the ways mindfulness increases stigma resistance and improves life satisfaction for individuals with psychiatric disorders. Three hundred and eleven individuals from a community setting in Hong Kong, China were recruited. The mean age of included individuals was 43 years, and all participants had a formal psychiatric diagnosis. Participants completed seven self-report measures in this cross-sectional study, including ones that measured for psychological flexibility and self-compassion. “Consistent with our hypotheses, mindfulness was positively associated with stigma resistance, and this association was mediated by self-compassion and psychological flexibility. 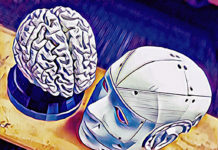 Moreover, stigma resistance was positively associated with life satisfaction, and this association was mediated by self- stigma content and self-stigma process,” the researchers report. Stigma must be confronted from all angles: supporting individuals to overcome, and become resistant to, stigma while working at the social level to reduce social distancing. Mindfulness on the individual level does not address the systemic problem of psychiatric stigma that must be addressed through cultural change. However, it does offer a readily available option to facilitate resistance to stigma and improvements in life satisfactions for individuals facing difficult circumstances. 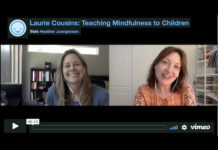 Teaching Mindfulness to Children: It’s Easier Than You Think! Since none of the DSM disorders are valid diseases. Meaning all of the “diagnoses” in the Diagnostic and Statistical Manual are really nothing more than stigmatizations. The most effective way of ridding the world of psychiatric stigma problems would be to get the “mental health professionals” to stop stigmatizing people with the DSM stigmatizations. What a fantastically simple idea! The new anti-stigma campaign – quit labeling your patients! I shouldn’t need to build resilience against stigma. Black and brown people shouldn’t need resilience against racism. Immigrants shouldn’t need resilience against white nationalists. Poor people shouldn’t need resilience against cold and hunger. Abused people shouldn’t need resilience. Sorry, Rachel, didn’t mean this to be a reply to you. That’s okay Kindredspirit. A lot of my escape was made possible by luck. That’s just plain wrong! I wish others could escape too. I know they would if possible. I have mostly escaped. I have “self-harm” scars from the Effexor-induced manic psychosis that will always give me away even though I was never a cutter. Trying to explain to a medical professional about the one time you were manic and tried to cut yourself out of your own body doesn’t really help to convince them you aren’t a danger to yourself and others. Sad. It’s been almost twenty years since. My body will always bear the scars. But I applaud you in your efforts to escape the system. I agree that luck had a lot to do with my escape as well. So you took Effexor and experienced this too?!!! I thought that I was the only one that this happened to. Effexor is the devil’s tic tacs for sure! Rachel, were we to have the option, I’d click “like” on your comment. I did the same thing to get away from that “stigma energy,” as I’d call it. I never took this on in my self-beliefs because I knew myself better than this, but regardless, fighting it is a rabbit hole, and it sure does get under one’s skin to be “othered” continuously, causes all sorts of problems and life/health/financial disturbances. As long as I get anywhere near “mental health” anything and I disclose anything about my history, despite all I’ve done since I abandoned anything having to do with diagnoses and drugs (which is quite a bit in all areas healing and creative), then wham here it comes, and boy do I feel it. What really fuels the “stigma” fire is when I own my truth based on my personal life experience, despite it not quite jiving with their reality. Horrors! Well, that’s usually what sets it all off quite aggressively, and there is simply no turning back. The fuse is lit. Moral of the story, of course, is to stay away from communities which exist solely on scapegoating, which is energy-sucking to the one identified as such. The more we DO NOT ALLOW ourselves to play that role and move on from it, the less they have to feed on. I say starve the vampires, and, in addition, we do better with our fellow humans. I think that will get the ball rolling in the direction of positive social change. Although I will say that, sometimes, doing better than that which one has received can be quite a challenge, given that we learn by example. We all do the best we can as we go along in life. At some point, change is inevitable, inside and out. My karma ran over my dogma, and my “mental illness”, stealing into the night, abandoned me to the elements. Stigma is a common experience for individuals with psychiatric disorders and it can create roadblocks to recovery. “Stigma” is another term for bigotry against the psychiatrically labeled. We shouldn’t have to “resist” it, or explore strategies to “overcome” it, as though it’s just another aspect of “being mentally ill.” People should just stop doing it. Hi Oldhead! Wondered when you’d show. The problem with fighting “stigma” is that it involves “educating” the public on “mental illnesses” which are themselves stereotypes. Like fighting sexism by dressing like Wilma Flintstone and showing up at educational venues. “Womanhood consists of 7 symptoms. Being completely passive. Flirting with every man you meet. Sneaking behind your husband’s back. Wasting his hard earned money on dresses. Swooning over celebrities. Crying to get what you want. Playing dumb. “If you don’t like these seven behaviors you are guilty of stigmatizing women. Waaaah! The analogy breaks down of course. Women existed long before biologists. And we have identities other than those of the Superficial Airhead. The term “mental illness” and its extensions are examples of stigma, so talking about “the stigma of mental illness” is inherently redundant and contradictory. Uh, I thought you said there was no “it”, OH. I think this anti-“stigma” stunt is just another way to sell invalidism. You know who they (the mh movement counter stigma campaigners) REALLY don’t like, don’t you? People who say they are anti-psychiatry. People who deny the existence of “mental illness”. Basically, anyone who says the treatment world isn’t the right place for you, me, and our brothers and sisters to waste our time, and the majority of our lives. I’m not there. You want to belong. Alright, go ahead, but not me, not me. I belong someplace else. Someplace where I’m not being screwed by all these phony baloney “helpers”. Not speaking for OH here but I’m very certain he wasn’t advocating for the existence of “It”. “It” is a good way to describe the nebulousness of the various DSM labels. Choose any five of nine symptoms to obtain “It”. Yes, it means you are in denial, especially if you also feel content. This is a different “it” than usual, which normally would involve a critique of the notion of “mental illness” as a “thing” rather than a metaphor. In this case the alleged “thing” is “stigma,” which is real enough, but is created and perpetuated by forces outside the “stigmatized” person, who is being victimized by the attitudes and actions of others. It is not something one “experiences” other than in the sense that you would “experience” a knife stuck in your back. I dunno, OH. Counter stigma is kinda like buzz lingo for selling “mental illness”, and especially “chronicity”. You don’t need to get “better”, not when you can have one trendy “mental” condition or another, plus the nifty little government handouts that go along with them. At one time “mental illness” was “curable”, but now it is no longer “curable”…again. Make way for the “mentally ill” future, and it’s complement, of course, the “mental health treatment” dystopia. The war upon “mental illness” has devolved into a war on “stigma”, and you know, or, at least, you should know, how that is going to go down. We’ll just coax this little “mental illness” along, and maybe it will expand, and in the process fuel our treatment business. Good thing doing anything concrete about it is so “stigmatizing”, huh? It’s part of laying the mass psychological groundwork for more widespread “voluntary” drugging; if they can sell people on “mental disorder” as something to be taken for granted like high blood pressure or “dry eye syndrome” — neither of which carry much “stigma” — people will seek out their own psycho-pharmaceutical handcuffs without prodding or AOT, especially the diamond-studded high tech models. The only “stigma” the psychiatric leaders appear to care about is anything that discourages people from taking more psychiatric drugs. And why should there be no stigma about taking neurotoxic chemicals, or arbitrarily removing a healthy finger? A very fair question, indeed. Though to me, the stigma ought to devolve upon the prescribers, not upon their victims. The lying con man deserves the shame. Not his trusting marks! So how does one teach respect? Other than by modeling it from the practice of it, as a general rule of living. It also helps to practice self-respect and radical self-care. These tend to guide a person in the right direction, and away from systemic abuse, bullying, and marginalizing–aka blatant stigma aka textbook discrimination. Then, wounds and post traumatic stress caused by chronic othering can heal, once out of the marginalizing community. That’s when good wisdom kicks in, from having lived the experience of it, and then healing from it with a lot of processing and shifting perspectives. That’s useful to the world right about now. Facing chronic blatant social and professional discrimination is treacherous, but it can heal in time, in a sound and just environment. And if that doesn’t exist, we have to create it. It has to start somewhere. For me, the irony has been that only in the mh world have I faced overt and chronic discrimination from the negative projections of stigma. I believe it originates in the “mental health” field of study. “Discrimination” is woven into the fabric of the education and training program and fully supported by the DSM. Without stigma, discrimination, and all-out othering, the entire field of “mental health” would totally fall apart. It relies on this for its own self-identity, and for business. Without stigma, discrimination, and all-out othering, the entire field of “mental health” would totally fall apart. It relies on this for its own self-identity, and for business. Yes. Without the fearsome specter of “mental illness” hovering over people who dare to trust their instincts and their creativity there’s nothing to keep them from stepping out of line. When your field is the field of intolerance, you are certain to find a lot you can’t tolerate. I’d put quotation marks around “stepping out of line,” because of course we’re talking about people being themselves and following their own truth. We all have the capacity to live our truth, if we dare to be different and unique. The only “line” one steps out of is some arbitrary “line” drawn by the “APA clinical mindset,” which is, in reality, completely meaningless, unless one buys into it. Then, it is dangerous because it is inherently dehumanizing. I’d say having a moral compass would keep anyone more in line, in a universal sense, although I guess that can be relative as well. And whether that is innate or learned–or some combo of both–is something on which I’m not totally clear. In general, though, any sense of this seems to be missing in action among our leaders, and I could not locate it anywhere within the mh industry for years and years. Unfortunately, this has been the example as of late, to demean those who are different, rather than to value uniqueness. I think this is where the mh industry falls way, way short, to say the least, making it a strong arm of oppression and discrimination, if not the epitome of it. Apparently, this field and its many affiliations have no plans to stop hurting people, despite the overwhelming evidence that this is exactly what is happening, and has been for a long time. To me, that is a flagrant lack of human values. “Stepping out of line” I think is an inherently ironic term, hence no need for quotes. But yes, no arguments with your general meaning. Holograms projected by institutional vampirism. No winning. Do not feed. Don’t be afraid to be yourself. “You are special” everybody tells kids. As long as you’re special exactly like everyone else. Be special like Miley Cyrus or Kim Kardashian. Not like “Crazy” Betty who lives with 3 cats, collects salt shakers, reads Hispanic surrealists, doesn’t own a TV, and plays the mandolin for a living. That’s “severe mental illnesses” because she’s not glamorous or rich. Bad weird. Not good special. And yet trying to be who you are not inclined to be eventually causes pain, suffering, chaos and confusion. There is no box. That’s the illusion. I’m amused by your reference to crazy Betty and her cats cats. I’ve discovered the trick to blending in when it comes to cats. The trick is: you can’t only own cats. You must own a dog as well. As long as you have at least one dog, you can own up to four cats as well without being a crazy cat lady. If you want to have more cats, you will need additional dogs to prove your normalcy. And under no circumstances should you ever reveal the true pecking order of the household, which anyone owned by cats knows is Cats -> Humans -> Dogs. Yes, but without stigma people wouldn’t be encouraged to seek out treatment. Stigma is a great marketing tool! I don’t get your logic here. I think stigma would be a deterrent to seeking “treatment,” were one to consider it at all when making such decisions. Btw how did you make that imogee? I thought we only had smiles & frowns. Counter stigma, and stigma by extension, IS a great marketing tool. Should one suggest, like a good antipsychiatry movement activist, that you don’t really need treatment, they would be, according to the prevailing theory, stigmatizing people who believe in the great God “mental illness”, and in their own innate incapacity. No need to get out of the treatment racket, no, you can’t do that, and people who don’t accept your sense of entitlement are stigmatizers. Also, then you might have to earn your own pay check. As is, who cares, so long as your service providers get paid? Counter stigma..IS a great marketing tool. This is probably true. Pill shamers all! Stigma is a great indirect marketing tool. Frank did a great job saying anything I could have said further about that. the problems people are having with thought/mood/behavior…. then we could deal with these problems more realistically…. According to studies that have been done on stigma and the various groups that practice it against the so-called “mentally ill” guess what groups is right at the top of the list for the biggest offenders? DOCTORS!!! I listened to Grand Rounds at the University Medical Center where I live and the big expert on stigma and the “mentally ill” was talking and he wasn’t very popular all of a sudden with most of the doctors in the audience, especially the psychiatrists. I could barely keep from laughing out loud. They all puffed up like a bunch of angry toads! Their heads were puffed up enough to begin with. Psychiatrists suffer from inflammation of the ego. A lil’ metaphor of my own.